A Christmas countdown featuring a chalk board and hand painted lettering. 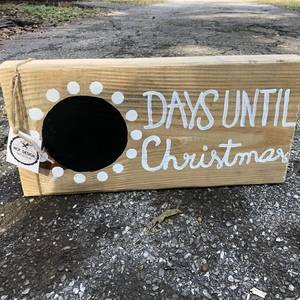 We love a Christmas countdown! Great job with this one, and on the hand lettering as well!